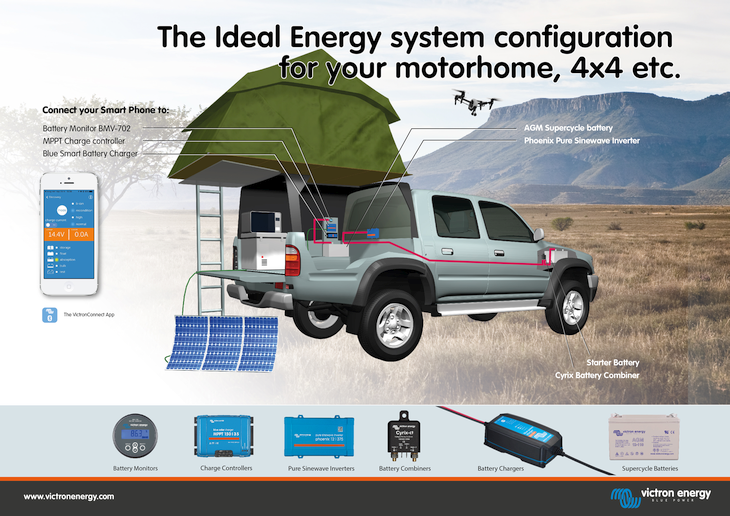 When it comes to Truck Campers or indeed Motorhomes, RVs, Campervans or Caravans they all have one thing in common – the great outdoors and increasingly these days a requirement for more on and off-grid power, be it just DC or DC and AC. That means more of everything – likely solar, a generator, an inverter and of course batteries. As you can see in the headline image above Victron Energy make a complete range of products to cater for this market, just as they do for the boating world and other markets. Choosing what you need and figuring it all out can be quite tricky for the end user. That is of course where Victron dealers and accredited installers come in. Some end users though, like Jeff Sherman, want to do it themselves – and I have to say Jeff’s completed installation is one of the neatest I’ve seen. Maybe his will give you inspiration to have a crack at a DIY installation too, with of course support from your Victron Energy dealer. Jeff Sherman lived in Alaska for 42 years working in the construction industry and recently retired. 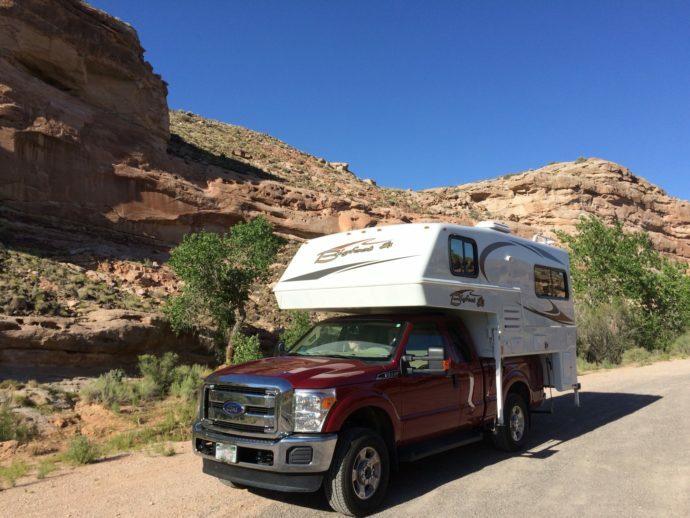 Having since moved to the ‘Lower 48’ he and his wife are now looking forward to exploring the American West in their Bigfoot truck camper pictured below, a review of which you can find here. DIY – where to start? “PKYS are based in Annapolis, Maryland and we sell Victron equipment online. Most of our experience comes from the boating world because the Chesapeake Bay area is one of the prime boating areas in the US. RVs are relatively new to us but recently they have become a much bigger part of our business because Victron equipment is so suitable for RVs. Most of our recent enquiries centre around using Lithium batteries in such vehicles because of their compact size, weight and superior performance”. AM Solar also supplied Victron equipment, namely the Bluetooth Smart dongle and MPPT controller. Roger Carroll of AM Solar provided Jeff with technical advice and reviewed the proposed system, to ensure everything was compatible with the BlueSolar MPPT 100/30. Jeff tells me they are great company to deal with as they specialise in RV solar. Whilst they often fit systems, Jeff found them very helpful for his DIY install too. 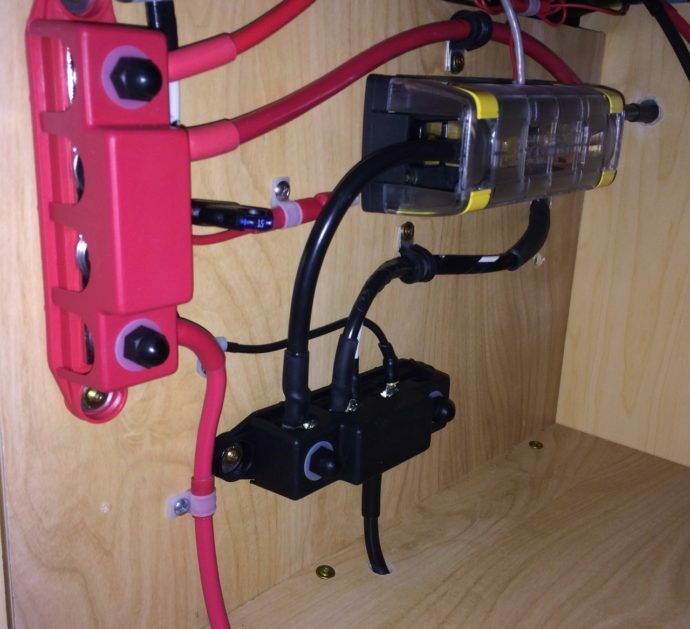 Rather than spoil Jeff’s, independent, comprehensive customer “Review of Victron Battery Monitor and MPPT Controller with Smart Phone Display” – here are a few teaser photos showing the standard of installation he’s achieved. 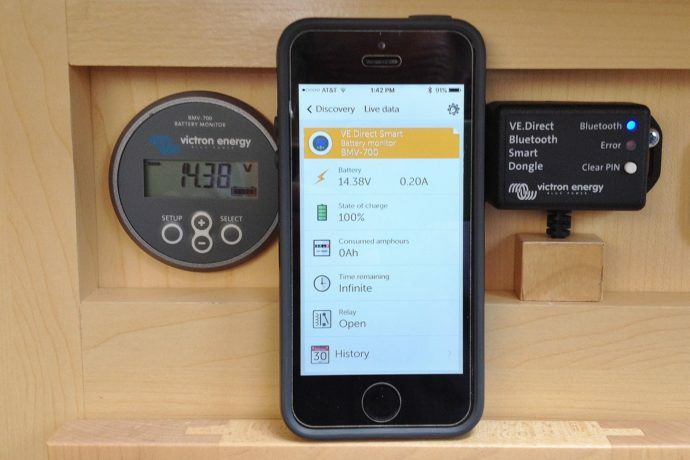 BMV-700 battery monitor with VE.Direct Bluetooth Smart dongle – showing data output via Bluetooth to a Smartphone using the VictronConnect app. BMV shunt housed in Blue Sea Systems holder. 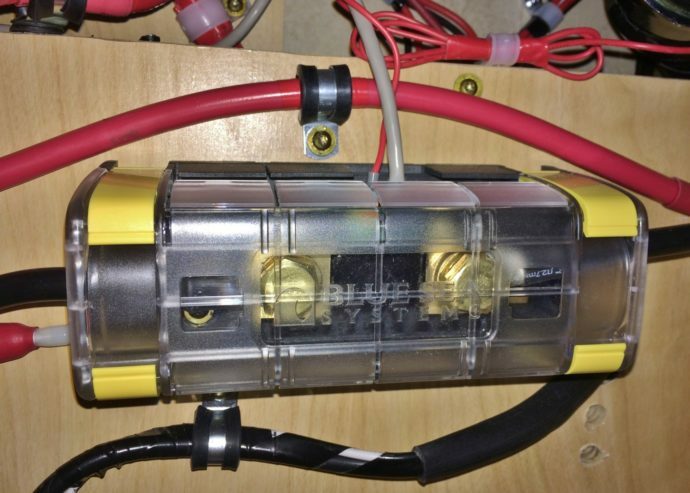 This blog and Jeff’s review will hopefully give you some ideas of what can be achieved with your chosen adventure vehicle using Victron Energy components. If they are all as neatly installed as Jeff’s – so much the better! My thanks to North America Victron Energy Sales Manager Justin Larrabee and Peter Kennedy of PKYS Inc for making me aware of Jeff Sherman’s installation and of course Michael Smith (aka Mello Mike) of Truck Camper Adventure Magazine for publishing Jeff’s review. Credit for the explanatory headline image goes to Andre du Rand. Thanks must also go to Victron dealer AM Solar for equipment supply and installation advice to Jeff.